There has long been a dichotomy among Americans. Some love cities; some love the country. Over the course of the last 200 years, Americans have been voting with their feet and cities have been winning. Still many prefer the rural life, at least some of the time. But whether you’re a city or a country person, most people agree that at Christmastime our cities shine. I think that Christmas time in the city is magical. It is the one time of year when avowed country people are willing to put up with the city crowds. In New York they flock to Rockefeller Center, to Macy’s, Saks and FAO SCHWARZ. They marvel at the decorations on Fifth Avenue. They enjoy ice skating, walks in the park, and of course, the sound of silver bells. And as the song says, “In the air there’s a feeling of Christmas.” I swear, it’s palpable. There’s nothing like a city at Christmas. Too soon to be awash in evergreen and sparkly lights. OK. Now they’ve gone too far. Christmas advertising this year began in September! Some stores are now beginning the holiday season as soon as they take down their back-to-school decorations. The Hallmark Channel is advertising its Christmas movies already. Now, I love Christmas as much as anyone, but do we have to celebrate it for the entire fourth quarter of the year? There was a time, not too long ago, when Thanksgiving was the Christmas firewall. Nobody dared begin Christmas advertising until the turkey was cleared from the table. All this pent-up Christmas demand soon erupted into a media-created shopping holiday – Black Friday. And as soon as that became established, it became necessary to advertise the pre-Black-Friday sales beginning just after Halloween. Halloween held up for many years as the new Christmas advertising firewall. In fact, all the attention that Halloween received as we focused on it as the prelude to the Christmas season transformed it from the kid’s day it used to be to a sort of Fall Carnivale. It’s much more popular as an adult holiday today than it ever was when we were kids. But now it seems that the Halloween firewall is giving way as well. Oh sure, the Rockettes don’t open their Christmas show until just after Halloween, but especially in the online world, Christmas in October and even September is a reality. Think I’m exaggerating? Have a look. The commercialization of Christmas is nothing new. In fact, it was the theme of, “A Charlie Brown Christmas” nearly 50 years ago. But what we have today is simply out-of control capitalism. Religious Christians have long complained that American society has secularized Christmas to the point where it is no longer recognizable as a religious holiday. I think that the fact that many American children of Jewish, Muslim and Buddhist backgrounds hang up stockings and await the visit of Santa Claus every December 25th is a testament to the fact that there is no longer any Christ left in the Great American Christmas. And I think that’s OK – as long as we recognize it for what it is. American retailers have created a winter holiday that, coincidentally, corresponds with the date of the religious observance of the birth of Christ. It’s not the Christmas of Silent Night – it’s the Christmas of Frosty the Snowman and Rudolph the Red-Nosed Reindeer. Religious Christians have to accept that their holy day has been co-opted. They need to think of their religious Christmas as a separate, parallel-track holiday that they can observe in religious ways separate from the Santa Spectacular. But even the secular Christmas has to have its limits. Christmas sales are becoming as unseemly as those Going-Out-of-Business sales that last for months. I know that there is no hope of rolling the commercialization back to after Thanksgiving. That ship has sailed. But can’t the honchos of television agree not to show Christmas ads until November? And while we’re at it, can we perhaps not begin the 2016 presidential campaign for a few more months? Heads were up, and a big hand was extended, at Rolf’s at Christmastime. Photo by Julie Seyler. Among our favorite places to sip martinis is Rolf’s German Restaurant on the corner of East 22nd and 3rd Avenues in Manhattan. Aside from the super-sized drinks, what we really love: they “change decor of the restaurant for different seasons.” Their Christmas interior is so garishly, yet gloriously, over-the-top, you can’t look down. 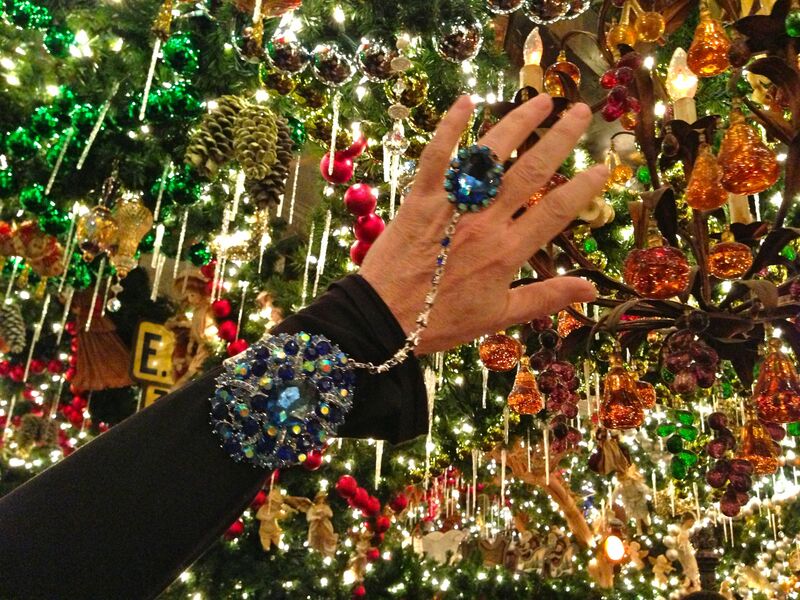 And since there is no such thing as an overdo of sparkle, glitter, and bling, we’re blinging it blue (and big), in celebration of the blog’s third anniversary, by raising a hand to Rolf’s, and to all our contributors, readers, and fans. Thank you, everyone. Rockefeller Center. Photo by Frank Terranella. That’s burnt ziti in a drum from October. It’s the week before Christmas, which means I’ve been doing some heavy listing. Not the kind that Santa checks twice – I save gift-buying for Christmas Eve. I’m talking supermarket list. For over 30 years, I’ve hosted Christmas dinner for family and friends (party girl! ), so my first holiday priority is getting that dinner menu front and center, and ready for launch. If you’re familiar with my Thanksgiving adventure, you’ve read that my system is to pick a page, or a group of pages in the newspaper, or a foodie magazine, and make everything on those pages, no matter how outlandish the combination. And since I’m deadline-driven by nature, for Christmas, I like to add to the chaos. I seek out the most complicated and out-of-bounds menu possible, and make lists, shop, and cook for a week. My deadline is the night-before-Christmas-Eve day. Because Christmas Eve is when I hit the mall. (Attention shoppers! This is way better, bargain wise, than Black Friday.) I have all my gifts in a mind-list, and am forced to make decisions on what to buy for everyone on my list, because I’m shopping on Christmas Eve. And also this year, to mirror how unsettling this Christmas will be (for the first time, my youngest son, who is overseas, won’t be here, and relatives that were staples in my Christmas kitchen for decades have died, or moved on), I’ve decided, for old times’ sake, to randomly (with my eyes closed) pick recipes from the past. I turned and shook my recipe ring binder, filled with everything I’ve ever made or saved, upside down (like my Christmas! ), spilled a pile on the counter, and made a meal from the spill. I picked appetizers (Maple/Pepper Salmon Bites, Apricot/Cherry Salsa with Taco Chips, Butterscotch/Whiskey Eggnog), a soup (Cream of Garlic), a salad (Prociutto/Fig/Walnut with Greens), and Timpano (also served upside down). “Timpano!,” you may ask. “What’s that?” That’s what every one of my dinner guests asked in October, when I attempted it for the first time, and killed it – in a bad way, as in ruined. I do believe, if done right, though, that it must be the perfect meal. So it’s the headliner this Christmas. This past Saturday morning, I walked up Fifth Avenue in Manhattan to see how it was decorated. 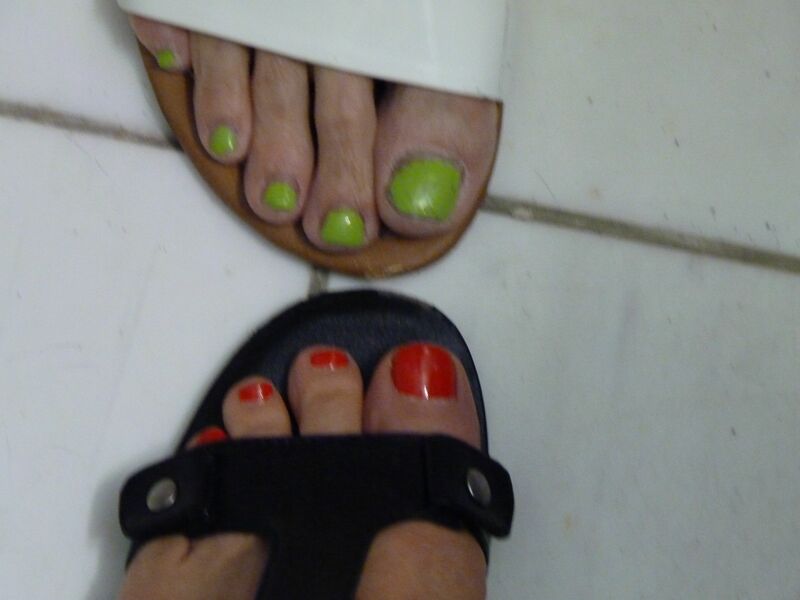 This was my first major walk outside, without a cane, and with my camera, since my hip surgery on November 6. My camera is not very heavy, but neither is it small, so I was anxious at the thought of keeping my balance amongst the throngs that stroll down the avenue. If Midtown Manhattan is always jammed, the crowds are squared this time of year. 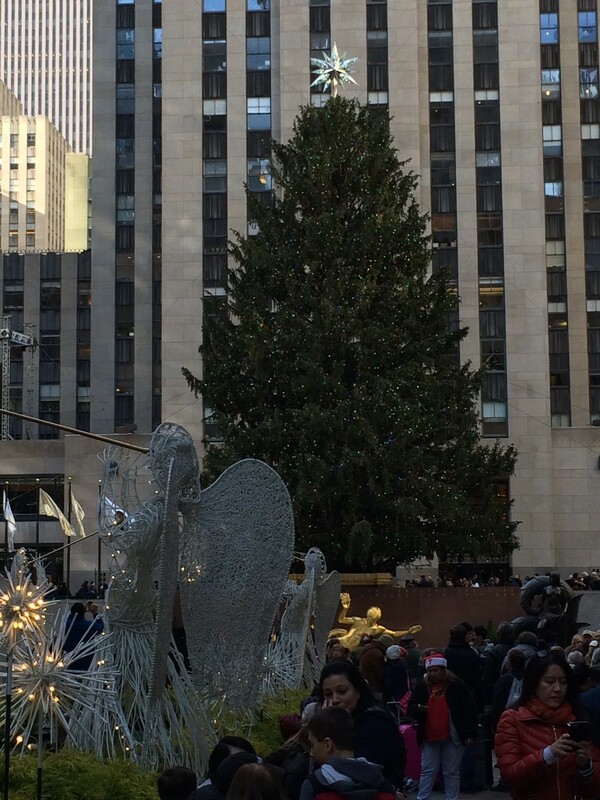 I got to Rockefeller Center about 9:30, and checked out the tree. It was lovely and huge but didn’t bedazzle me. I need to get over there at night when the lights are on. Statues of Little Drummer Boys and trumpet players surround the skating rink, and already the line to get in there stretched from the ticket window to Fifth Avenue. I continued up Fifth, and was taken by the icicle drips on the Fendi windows, the rare jewels at Harry Winston, and the moving sets of waves and flowers that hid and displayed the jewels at Van Cleef & Arpels. But the most fun and festive windows are always at Bergdorf Goodman. This year they celebrated the Follies. And as many photos as I took, it was difficult to nail down in a digital image their exquisite frivolity. Here is one example. Click here, though, and you’ll get a better sense of the details. I crossed the street and stopped at Tiffany & Co.
the jewels were displayed. Sometimes all the boxes would open and close together. It was fun. I walked into St. Patrick’s Cathedral and lit a candle for the children and families in Connecticut, and when I came out, the masses on Fifth left no room for movement of any kind. I scurried past the windows of Saks, which celebrated the innocence, wonders and discoveries of youth, and hightailed it back downtown.